DMSS Research was established in 2006 by Di McNeish and Sara Scott. Following an early career in social work practice and management, Di worked for the voluntary sector. As Director of Policy and Research for Barnardo's, she was responsible for the organisation’s internal and external research programme, and its lobbying and campaigning agenda. Di played a key role in promoting evidence-informed practice in children’s services, as co-director of the ‘What Works for Children' collaboration (involving Barnardo's, the University of York and City University), co-editor of What Works for Children (Open University Press, 2002) and trustee of the Social Care Institute for Excellence. Di has also worked as specialist advisor to the Government’s Beacon Scheme on preventing and tackling child poverty; been a member of the independent review on social mobility set up by the Liberal Democrats; and worked with Sir Michael Marmot to carry out the review of health inequalities in England. Recently she has enjoyed extending her work into the field of services for older people including projects for the RNIB and the Joseph Rowntree Housing Trust. She is currently working with the Rees Centre, University of Oxford as part of the team co-ordinating the evaluation of The Department of Education’s Innovations in Children's Social Work Programme. With over 20 years' experience in managing and conducting research, much of Sara's work has involved evaluating policy and practice in the fields of sexual violence and mental health. Her qualifications include an MA in Applied Social Research Methods and a PhD in Sociology from the University of Manchester. Sara’s book The Politics and Experience of Ritual Abuse was published by Open University Press in 2001. Prior to establishing DMSS Sara was Principal Research Officer at Barnardo's, where she helped develop an organisation-wide outcomes framework and led a three-year research programme on sexual exploitation. She was a contributing author to The Evidence Guide: Using Research and Evaluation in Social Care and Allied Professions, a training manual. An experienced trainer, Sara developed the ground-breaking Gender Training Initiative on behalf of the Department of Health (University of Liverpool, 2001). In 2011-12 Sara spent a year on secondment to the National Centre for Social Research, heading up their Children and Young People’s Team. 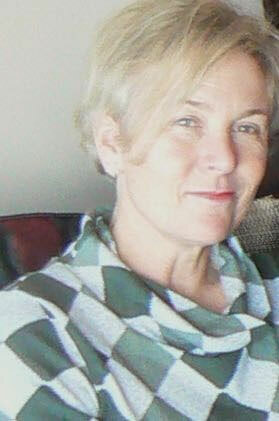 Since returning to DMSS her work has included leading a Department of Health funded research project on responding effectively to the long term consequences of violence and abuse, which combines many of her areas of expertise and a series of studies concerned with gender, abuse and mental health as well as leading a number of evaluations of child sexual exploitation projects. Anna is an anthropologist by background, with considerable experience of research with children and families. She brings to the team specific skills in observational methods, as well as a wide range of both qualitative and quantitative research expertise. Until 2007 Anna was a research officer with Barnardo's, working closely with Di McNeish and Sara Scott. Among many other projects, Anna worked with Sara on a major evaluation of a regeneration programme in South London, using a theory of change approach. She has a special interest in children’s play and children’s attitudes to healthy eating, and has led several research projects on these topics. 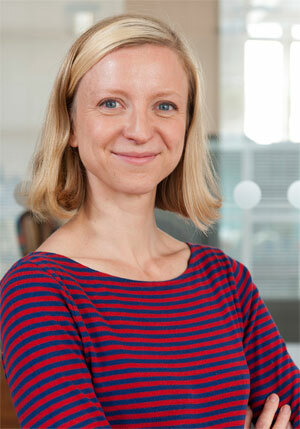 Anna is lead author of 'Burger Boy and Sporty Girl: children and young people's attitudes towards food in school’ and has recently been awarded her PhD for research on children and food at the University of Sheffield. Alison has 30 years experience in social work and social policy. After reading English at Bristol and doing an MSc in Applied Social Studies and social work training at Oxford, she worked for Camden Social Services in the Kings Cross and Tottenham Court neighbourhoods. Alison then moved to the Church of England’s General Synod. There she advised bishops and church leaders on social policy and prepared reports and briefings, including major reports on the future of the welfare state and on the family. She also expanded her research skills to include cost-benefit analysis and quantitative research methods. Alison's most recent post was as Assistant Director in the Policy and Research Unit at Barnardo’s, where her main policy areas were young carers, and children in asylum-seeking families. Alison has worked with DMSS on a variety of projects including research to understand young peoples’ involvement in the riots of summer 2011, an evaluation of healthy relationship education in schools for the voluntary organisation, Tender and is currently working on the evaluation of Full Effect in Nottingham. Sarah has over 10 years experience of supporting practitioners and managers in both the voluntary and public sectors to evaluate health and social care projects. Her most recent post (2008 – 2013) was as Learning Network Development Manager on the Lottery funded AltTogether Better Programme which sought to improve well-being in communities. Her role involved supporting 16 projects to devise clear evaluation plans and to self evaluate though provision of training, tools, guidance and advice. Until 2008, Sarah worked as a Development Officer in Barnardo’s Policy and Research Team, working closely with Di McNeish and Sara Scott. Sarah’s role involved supporting the development of evidence based practice at an organisational level and supporting the evaluation of project outcomes at a local level. 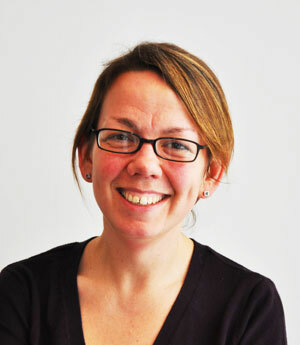 Between 2002 and 2005, Sarah worked as Development Officer on the ESRC funded What Works for Children project, which involved facilitating the use of research evidence in planning and delivery of services and providing evaluation support and training to staff. Sarah has a particular interest in health inequalities, social capital and the role of asset based community development approaches to improved well-being. She has a MSc in Population Health, a post graduate diploma in Management Studies and a BSc in Behavioural Science. Sarah is also a qualified trainer and lead author on ‘The Evidence Guide' (2006) a training resource aimed at practitioners and managers in health and social care which seeks to support the use of research and evaluation in practice. Jennie is an active researcher and academic writer, most recently working with Sara Scott on a Department of Health funded programme exploring the long term consequences of violence, trauma and abuse. In 2003 Jennie set up Inequality Agenda Ltd to offer gender informe training and consultancy that would lead to real improvements in services. This has included working closely with the Department of Health on the development and implementation of the Women’s Mental Health Strategy, and collaborating on a range of initiatives to improve mental health services responses to men. Inequality Agenda has provided over 300 training courses throughout the UK, and occasionally in other countries including Canada and Iraqi Kurdistan. Jennie began her career as a social psychologist at the University of Bristol a level of analysis she still finds invaluable. 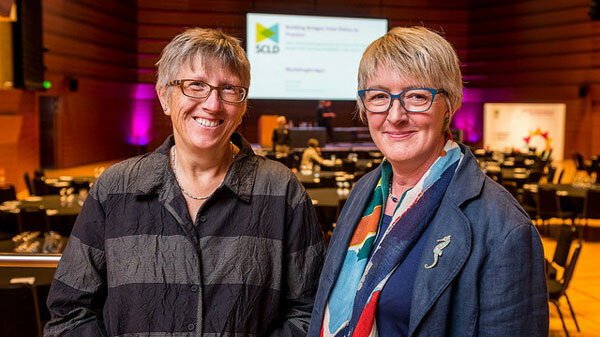 Her PhD on "Gender and Women's Mental Health" was awarded in 1982 and since then she has continued to focus on the effects of social inequalities – especially gender - on mental health and mental health services. She trained as a clinical psychologist at Exeter University and then worked for the NHS in Devon and Kent supporting the transition of people and services from long-stay psychiatric hospitals to the community. Jennie then became a Senior Lecturer at the Tizard Centre, University of Kent, a post which offered scope to carry out consultancy work alongside academic responsibilities. During this period she was involved in numerous interesting projects including: helping to set up Patient's Councils at Broadmoor and other secure psychiatric hospitals; developing the first university based course for mental health service users wanting to develop their consultancy and training skills; supporting the development and evaluation of innovative services for women leaving secure psychiatric care; and helping to establish the charity POPAN for people abused by mental health professionals. She also met Dr Sara Scott during this time and worked with her on piloting the Gender Training Initiative. Sue began her working life as a teacher in the North East and Greater Manchester, becoming a Head of Department (Personal, Social, Health Education) Local Authority Adviser (PSHE) and Associate Lecturer/Researcher in Social Studies at Manchester Metropolitan University. She achieved a MSC in Research and Evaluation with Distinction at Huddersfield. Sue's research experience is wide ranging. From 2002-2011 she was a Research Manager for the Equal Opportunities Commission and the Equality and Human Rights Commission (EHRC). She was the children and young people lead, investigating inequality and promoting equality, human rights and positive outcomes for all young people in order to influence UK policy and practice. Sue has managed more than 50 substantive research projects and evaluations from project conception and development of methodology to report editing, publication and dissemination of findings. She has evaluated hundreds of research proposals and been a member of numerous research steering groups working collaboratively with local and national government departments, other research teams and public, private and third sector partners. As a Head of Department in a Community School Sue worked closely with Children’s Services to support looked after young people and those who were at risk of different types of exploitation. As a Local Education Authority Adviser, she was a member of a multi-disciplinary group raising awareness of child abuse and was involved in delivering training. She has conducted research and evaluation with young people and teachers. Sue worked in a wider team within the EHRC to develop indicators to support the measurement of children and young people's equality and inequality, including trafficking and exploitation. She also spent two years as a Trustee for a Young People's Peer Support Project. Since 2011 Sue has been working independently undertaking research and evaluation for a range of clients. She has a long standing commitment to work with children and young people, tackling inequality and achieving evidence-based change. 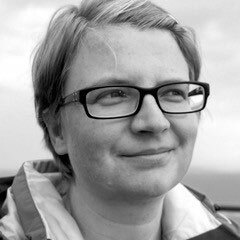 Sally has nineteen years' experience in social research and psychiatric epidemiology, making use of survey data to highlight and examine health inequalities. Sally designs and manages studies mostly using quantitative methods. She’s an experienced data analyst, carrying out descriptive, regression and segmentation analyses. While her work covers a range of policy areas - including debt, disability, housing, and working conditions - a common theme has been addressing how these relate to people's mental health and well being. Sally has worked with Sara Scott on the REVA (Responding Effectively to Violence and Abuse) study and on Hidden Hurt a study for the charity Agenda, profiling women's experiences of violence and abuse and their relationship to severe disadvantage. In her other role as a NatCen Research Associate, Sally manages the Adult Psychiatric Morbidity Survey, England’s primary mental health survey. She was previously their Head of Health Policy Research. 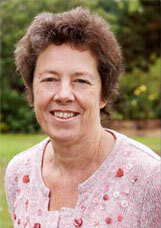 Sally is an author on more than 50 papers in peer review journals, including in the BMJ and Lancet. Sarah is a sociologist and previously practiced as a youth and community worker in the voluntary sector for over twelve years, mainly in the field of violence against women and girls. She is primarily a qualitative researcher, experienced in using a wide range of methods such as, interviewing, case studies, focus groups and observations. 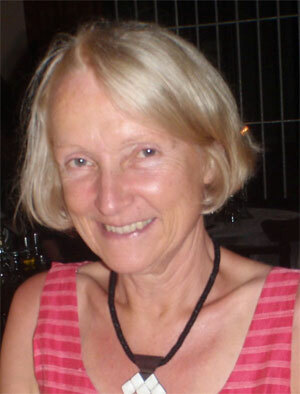 Her experiences in practice, particularly in the field of child sexual exploitation (CSE) in which she has a special interest, led to an academic career. She has two Masters, one in the ethics of social welfare and the second in social research methods and evaluation. She recently completed her PhD which explores social workers' understandings of CSE and sexually exploited girls, from which she has several forthcoming publications. Sarah's work for DMSS has involved being part of teams that are evaluating various projects working around the subject of CSE. Currently she is working on a Barnardo's project in Rotherham, whose aim is to prevent CSE. Alongside this, she works on other evaluations and regularly teaches at the University of Huddersfield.